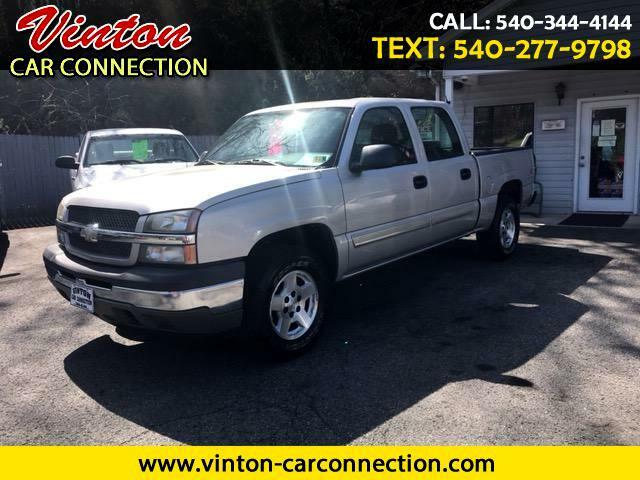 Vinton car Connection is offering this 2005 Chevrolet Silverado Crewcab pickup. The Silverado Classic is a carry-over from 2004 offered in the crew-cab. All models have four-doors and up-to-six-passenger seating capacity. The LT comes standard with a 5.3liter V8 that produces 295 horsepower with E85 Flex-Fuel capability, a 5.3-liter V8 that produces 315 horsepower ,a fully electronic four-speed automatic transmission.We have been in business over 40 years and 30 at the same location and rely on repeat customers for most of our business.We are AMERICAN owned and operated.We look forward to serving you.